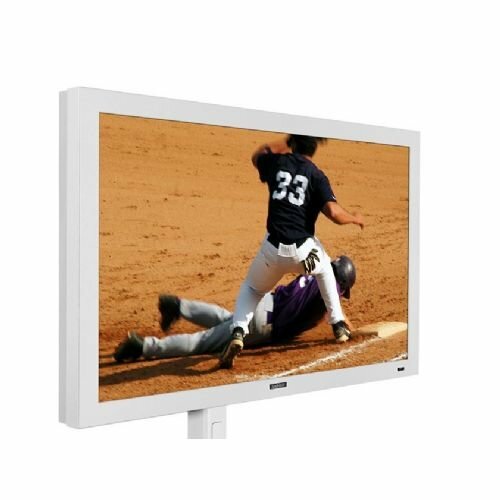 Outstanding in black, white or silver, the 47" Pro Series outdoor LED HDTV is built for permanent outdoor placement. Designed and engineered to withstand heat, cold, rain, snow and the occasional patio food-fight. Rugged enough to endure harsh environmental elements, yet savvy enough to compliment any outdoor living space. The SB-4717HD is weather-tight - with interior components protected by the powder-coated aluminum exterior. Complete with anti-reflective protective glass and high-temperature Extended Solar Tolerance (EST) technology. EST protects the TV screen from isotropic blackout ... an occurrence when TVs face direct sunlight causing dark spots on the screen.